Mahdzir Khalid, Former Education Minister: Blown away by the Voters in GE 14. LMAO. Betul dan logiklah. Menteri ugut penjawat awam yang sokong pembangkang patut dibuang kerja, sebenarnya menteri yang takut hilang kerja kalau majoriti penjawat awam mengundi pembangkang pada PRU14. “In modern times in Malaysia, it appears that some Muslims want to scapegoat Christians – I can’t speak for the Jews – when the going gets rough for them,” asserted the Jesuit-trained prelate. 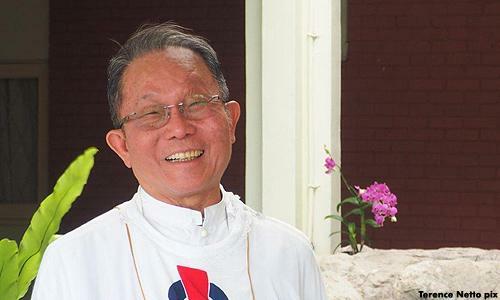 Catholic Bishop Dr Paul Tan Chee Ing blamed “a weakness for conspiracy theories” for Education Minister Mahdzir Khalid’s accusation that Christians and Jews are behind the campaign of Sarawak Report in levelling corruption allegations against Prime Minister Najib Abdul Razak. 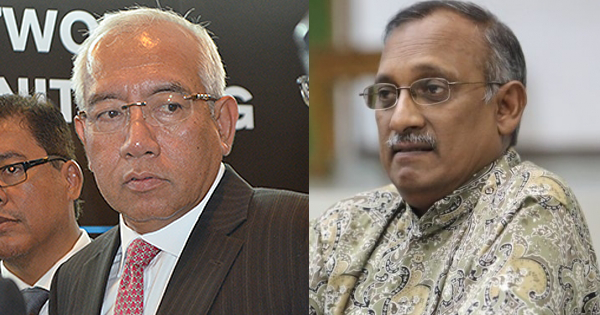 That was how the prelate described Mahdzir’s opinion aired at the Hulu Langat Umno division meeting last Sunday that Christians and Jews are behind allegations of corruption levelled by web news portal Sarawak Report against the prime minister. PETALING JAYA: The Council Of Churches Of Malaysia (CCM) wants the new Education Minister to apologise for his comments, claiming that Christians are “splitting the Malays”. In a statement on Tuesday, CCM general-secretary Reverend Dr Herman Shastri (pix) said the council was deeply concerned over Datuk Seri Mahdzir Khalid’s statement and urged him to clarify his “detrimental and divisive remarks”. “First of all, it is wrong to link us Christians with the Jews. Its highly misleading to even associate us with the Jews and worse still, to propose that we are in any way trying to split the Malays or any other group. “We therefore call upon the Minister to clarify his detrimental and divisive remarks and better still, to apologise for making those comments. “He should not make false allegations as it is harmful and can be regarded as undermining national unity,” said Shastri. Umno supreme council member Datuk Seri Mahdzir Khalid today reminded party members not to believe reports in whistleblower site Sarawak Report, which he claimed promoted the Jewish and Christian agenda aimed at splitting the Malays. 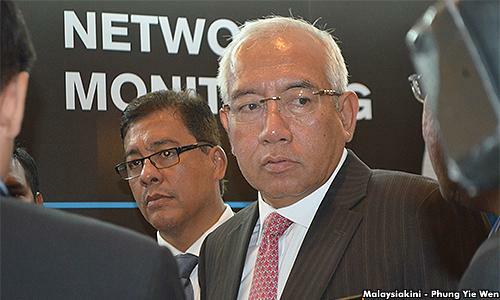 Mahdzir, who is also the new education minister, said this was the biggest threat facing the country’s leaders who were being attacked within and outside the country. “The Jews and the Christians have pledged that as long as there is the moon and the stars, as long as the end of the world is not here yet, they will decide that Muhammad’s followers will be confused and split among themselves. This is the pledge of the Jews and Christians. “And today, those who do things to us are not only from within the country, but from outside the country like Sarawak Report, which does not operate from Kuching,” he said when opening the Hulu Langat Umno division meeting today. This entry was posted in mahdzir khalid, malaysia religion, NEW EDUCATION MINISTERaccuses christians and jews, politics in malaysia and tagged mahdzir khalid accuses christians, malaysia religion, malaysia. politics, new education minister mahdzir khalid. Bookmark the permalink.